Partnership working is key to the way we work. As a small but ambitious Parish Council with limited resources available we know that we cannot do everything ourselves. As so much of what we do cuts across a range of activities and services that are delivered by an equally diverse range of organisation, working in true partnership is one of our strongest values. Coxhoe Parish Council’s most recent Annual Reports have underlined the importance of partnership working. Again this year, a year of significant change and uncertainty, it has been proved that working with others is crucial to our achievements. 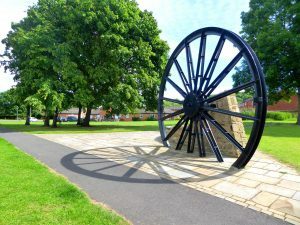 From April 2009 we have been working with the new Durham County Council and continue to work well with all of our other key partners to improve Coxhoe and Quarrington Hill. We know that we cannot work in isolation. We know that our partners’ resources are stretched and the recession is having a significant impact on public spending. Progress can often be slow and frustrating but we are an ambitious Parish Council and we are getting things done through working with others and respecting them and their own priorities constraints. What can you find out in this section of the website? This section of the website sets out who our key partners are and how we are working with them. The two Village Partnerships are highly valued by Coxhoe Parish Council as they continue to work tirelessly in difficult circumstances, and on a voluntary basis, to improve things and make a difference within our communities.